San Diego Magazine and Torrey Pines Kiwanis will host a fundraiser to support athletic programs for persons with disabilities at the iconic Bird’s Surf Shed on May 28, 2015. We hope that you can join us for a fun night full of entertainment, delicious bites from Miho Gastrotruck, and a hosted beer and wine bar. 100% of the proceeds from the Kick-off Party will benefit sports and recreation programs for San Diegans with disabilities. In addition to all the fun at the event, Torrey Pines Kiwanis will be presenting the aquatic center with a donation of $25,000 to support our accessible watersports programs. Donations like these allow us to continue to provide watersports opportunities to local San Diegans with disabilities. 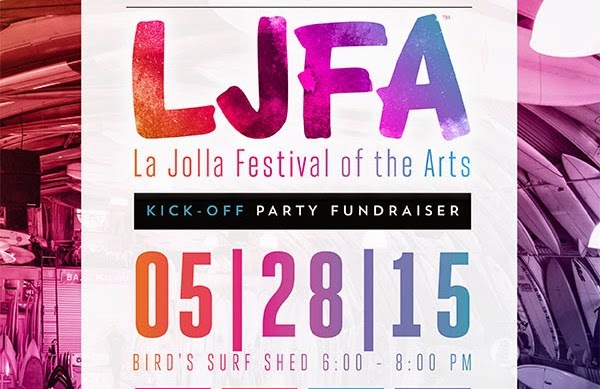 The Kick-off Party celebrates the launch of the 19th annual La Jolla Festival of the Arts which will be held at UCSD in June. 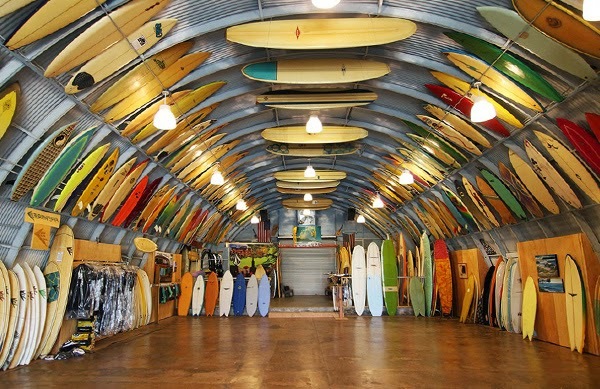 The Kick-off Party will be held at the iconic Bird’s Surf Shed, which is filled with a collection of over 800 awe-inspiring vintage surfboards. In addition to entertainment, food, and drinks, a live auction will feature items from Honorary Ambassadors, Aaron Chang Photography, Tim Bessell Surfboards, a swag bag from San Diego Magazine, and much more. 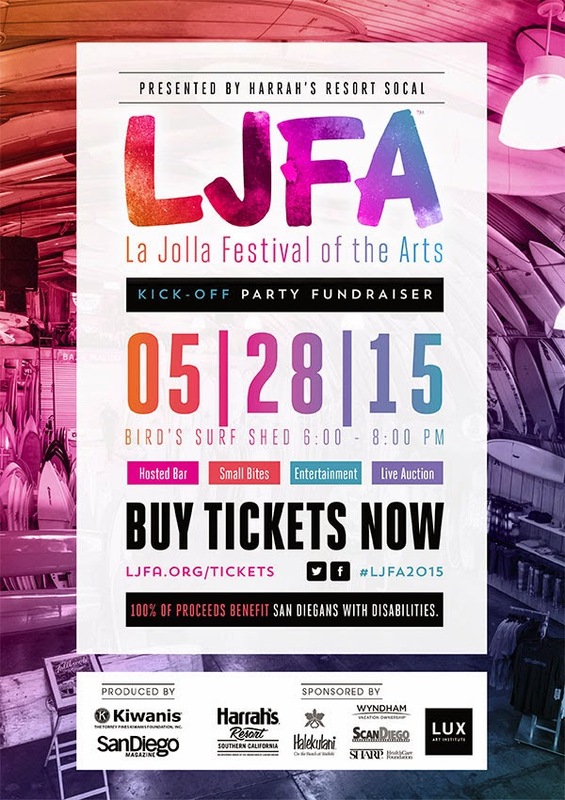 Tickets for the Kick-off Party and La Jolla Festival of the Arts are available online at ljfa.org/tickets. We hope that you will be able to join us for a fun evening while helping to support watersport opportunities for San Diegans with disabilities.